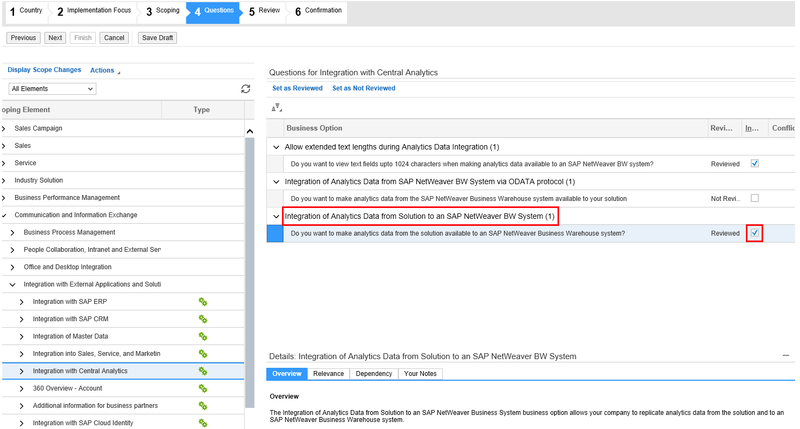 This is a step by step guide on how to integrate SAP Cloud for Customer (C4C) with your central analytics solution (SAP BW/BI). SAP Cloud for Customer allows to expose analytical data to central analytics solution like SAP BW / SAP BI via ODP or analytical OData. 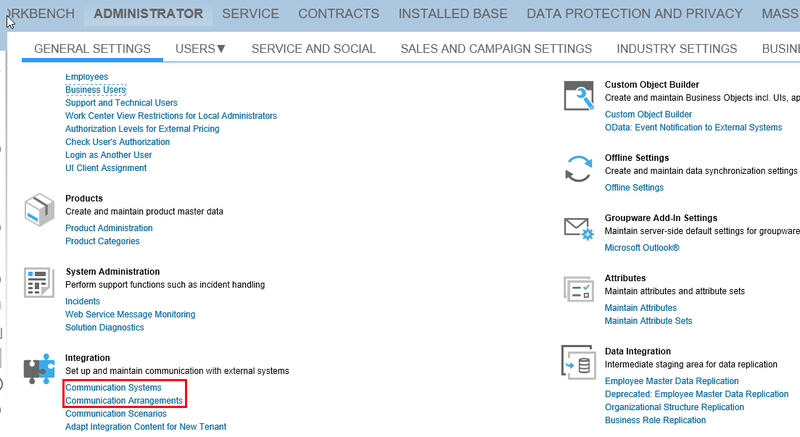 While the OData API allows to directly access report data (including attribute selection and filtering) the ODP interface is used to integrate the C4C data sources. This means that ODP can be used to create a representation of the C4C data source in your central analytics and use this as a basis to create advanced data models and reports. This SDN blog will provide you a step by step guide on how to integrate your C4C tenant with your central analytics solution. As dependencies exist between the different integration activities described in the steps below it is important that you respect the sequence of the different procedures. Open the Business Configuration work center, choose your Implementation Project and Edit Project Scope. 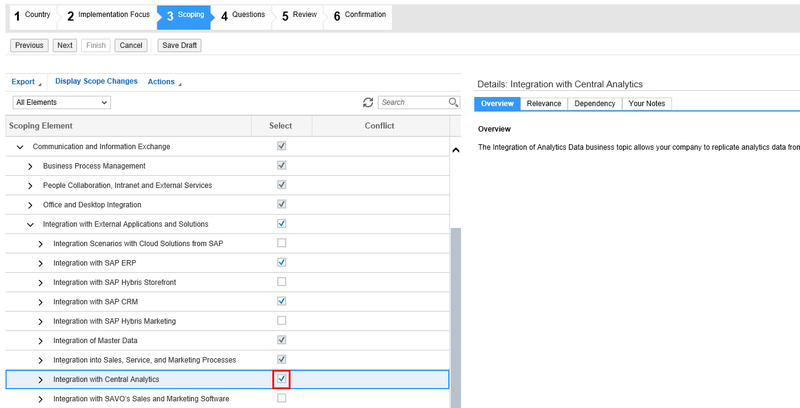 In the newly opened guided procedure navigate to the Scoping section and verify if the Communication and Information Exchange > Integration with External Application and Solutions > Integration with Central Analytics scoping question is selected. If not add it to your scope by selecting the checkbox. On the Questions screen make sure that the Communication and Information Exchange > Integration with External Applications and Solutions > Integration with Central Analytics > Do you want to make analytics data from the SAP NetWeaver Business Warehouse system available to your solution scoping question is selected. After your tenant’s functionality to integrate with your central analytics solution was activated, in a next step you have to setup the communication channel for data replication. To do so you have to create a Communication System first and afterwards the corresponding Communication Arrangement. Both settings can be found in the workcenter Administration > General Settings > Integration. 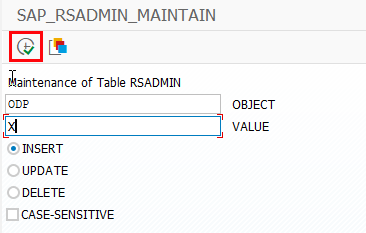 Host Name – Is not mandatory but it makes sense to maintain a meaningful description. Beside that it is not used. After the initial creation the Communication System is in status In Preparation. Before you can use it for creating the Communication Arrangement you first have to activate it via the Set to Active action. As soon as the status changes to Active the corresponding Communication Arrangement can be created. The Communication Arrangement itself is created through a guided activity which is started by clicking on New in the Communication Arrangements view. In the first step you have to select the Communication Scenario Analytics Integration. In the second step Define Business Data you have to choose your previously created Communication System for the System Instance ID. 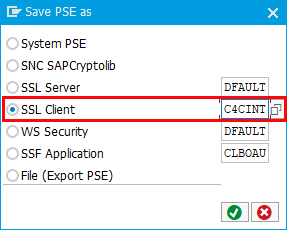 In the Define Technical Data step you will now define the technical settings for the ODP connection (the communication scenario only consist of a single inbound service as SAP BW always fetches the data from C4C – there is no direct replication initiated from C4C to SAP BW). 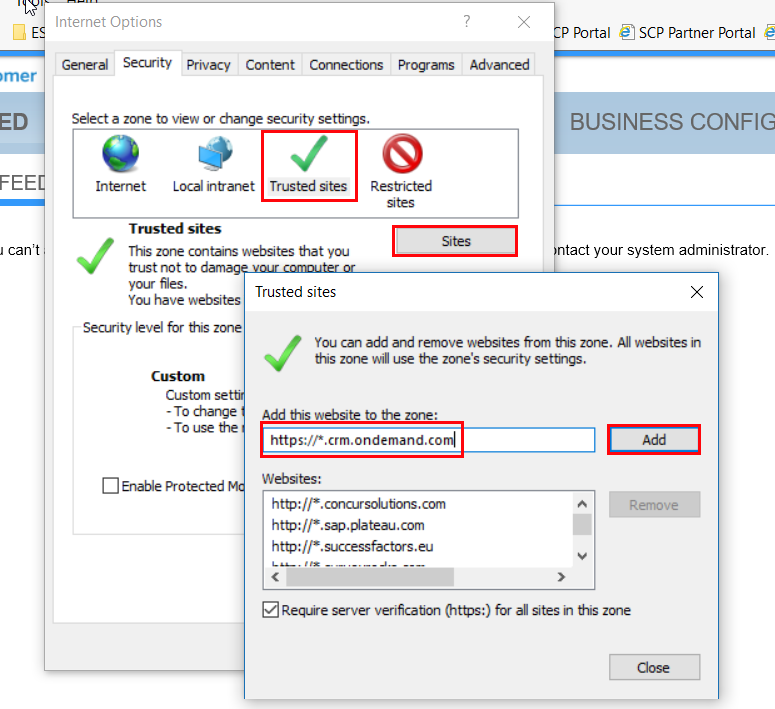 Using the SSL Client Certificate for authentication provides two options. First one is to upload a certificate which was provided by your SAP BW administrator. 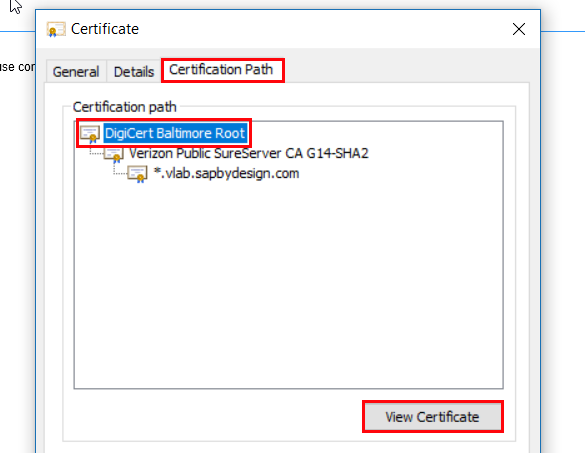 Therefore go via Edit Credentials, navigate to the Certificate tab and choose Upload Certificate to upload the certificate which was provided to you. 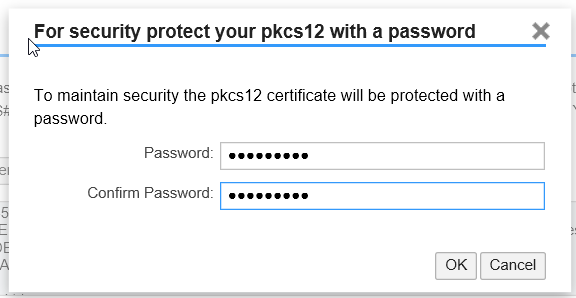 The second option allows you to create and download a PKCS#12 key pair file, in case your SAP BW administrator cannot provide a certificate. The PKCS#12 file will be encrypted by a password provided by you and contains a public key certificate and a private key. If this authentication method is used you simply have to specify a password by choosing Edit Credentials and maintaining the password in the Change Password tab. In general I would recommend to use the SSL client certificate because it is more secure compared to the user / password option. But in the end the C4C admin and the SAP BW admin have to agree on the authentication method which should be used. Whereas the user / password option might be a good option for a proof of concept it might be a no-go for productive usage. In any case make sure that the password used is compliant with your company’s security policies. What is important to keep in mind is that in case you use the SSL client certificate method you always have to keep the validity of the certificate in mind. As soon it expires it has to be update in C4C and SAP BW. 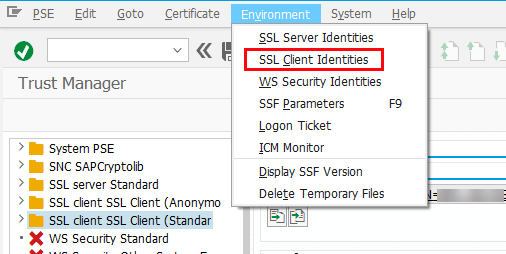 For this example, we will generate our own SSL certificate which we store on the client for later usage. Remember the password as we will need it later on when setting up the SAP BW system. Moreover make sure that the downloaded PKCS#12 key pair file has the right file format (.p12). Finally Review your settings and Finish the creation. This will generate and activate the communication arrangement in your C4C tenant. After the Communication Arrangement was activated open the Technical Data by editing the Communication Arrangement. After you click Edit Advanced Settings technical information for the ODP webservice are displayed and it allows you to Download WSDL. 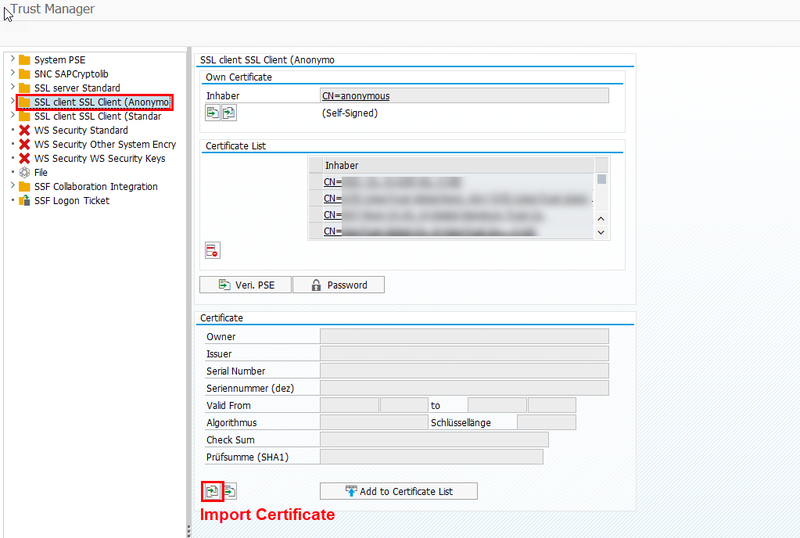 Download the WSDL and store it together with the Client certificate because you will need it to generate an webservice endpoint in the SOA Manager of the target BW system and establish the connection between the C4C and BW system. 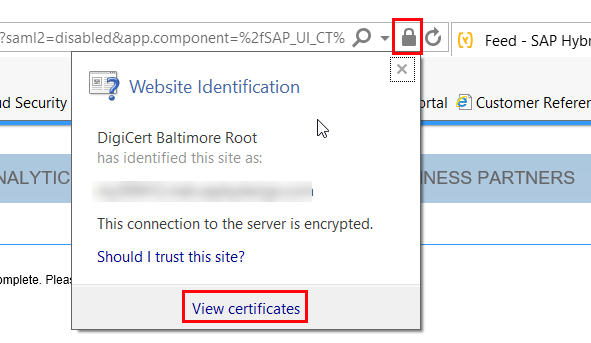 To successfully establish a secure connection between your SAP BW system and the C4C tenant you need the relevant C4C (root) certificates which you can download for example by using your browser. 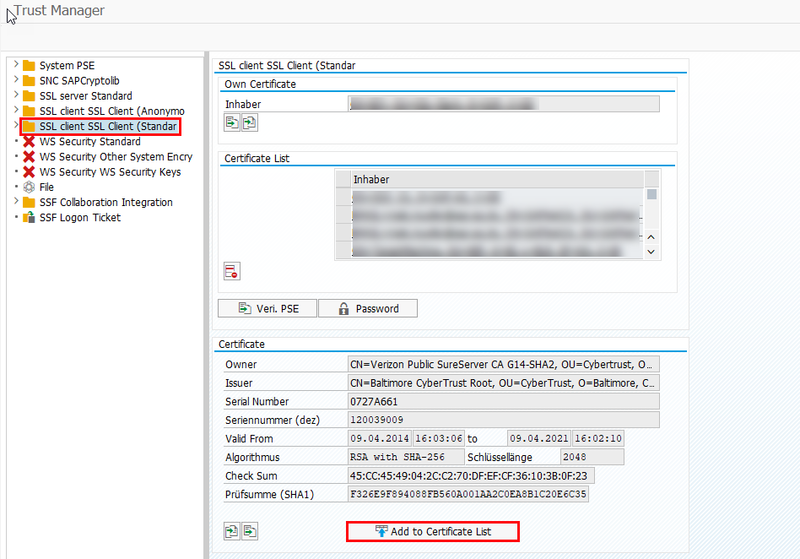 Provide the location where you want to save the certificate on your local system and click Next. You will see a message that your file was exported successfully. If either the installation or export of the certificate doesn’t work, you might have to run your browser as an administrator. Moreover we have to assure that the release of the SAP BW system supports .p12 as a Personal Security Environment (PSE) file type. If this is not the case go ahead by downloading and configuring the SAPGENPSE cryptography tool. 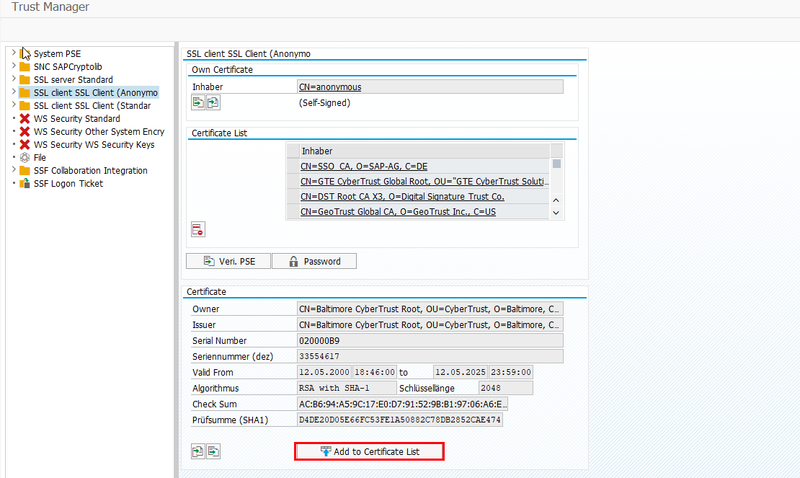 The steps for setting up the trust relationship between the SAP BW system and your C4C system depend on the authentication method you have selected. 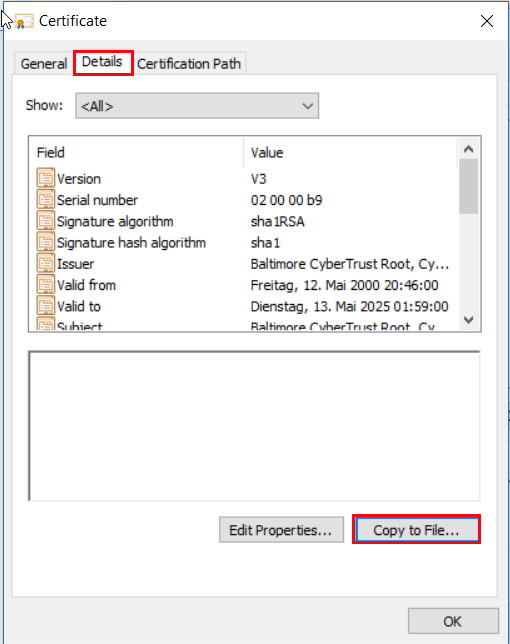 For the User ID / Password scenario you have to upload the Global Root Certificate (Baltimore CyberTrust Root) to enable a successful SSL handshake between the C4C tenant and the SAP BW system). 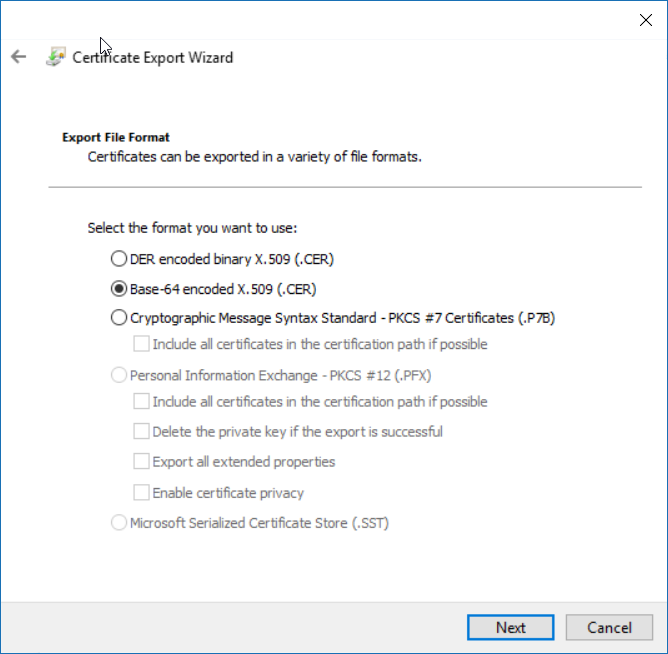 As a result the key pair file certificate should be displayed in the Own Certificates pane. 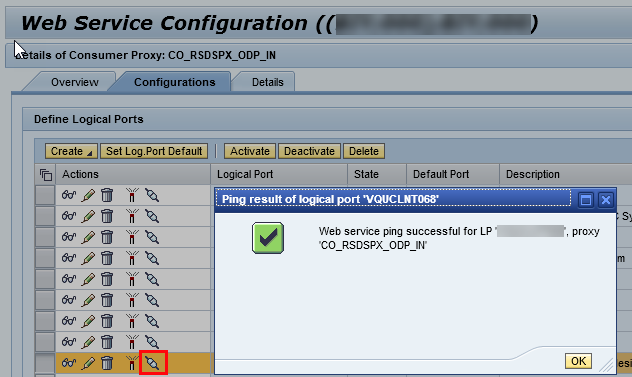 To enable the functionality that ODP can be configured in SOA Manager we have to ensure that the corresponding Web Service for SOA Manager is up and running. This can be achieved by checking the service APPL_SOAP_MANAGEMENT in the Internet Communication Framework (transaction SICF). Inactive services are displayed in gray (like the app_migrate service) and active services are displayed in black (like the APPL_SOAP_MANAGEMENT). If the APPL_SOAP_MANAGEMENT service shouldn’t be active you can activate it by right clicking on the service and selecting the Activate Service option. More information about activating / deactivating services can be found in the ICF documentation. 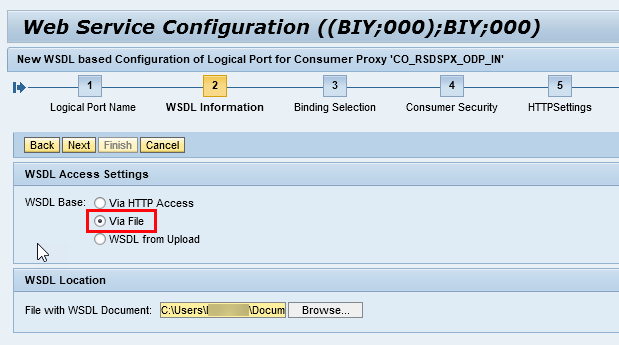 In case your SAP BW system was never integrated via ODP yet it might be that ODP does not appear as a source system in transaction RSA1. After the activation ODP should appear as additional option for your source system type. In the following dialog first specify the technical name for the source system in the Logical System Name field and a suitable description in the Source System Name field and confirm your details by clicking the continue icon. 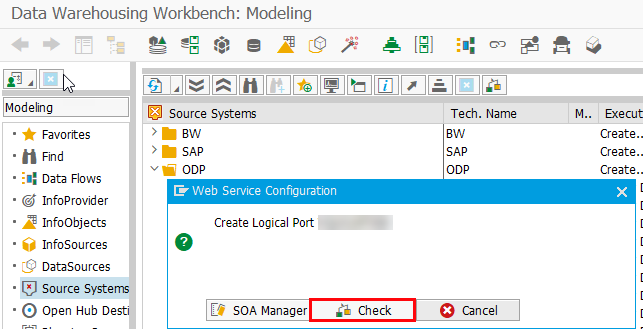 After you have specified the basic information the Select Communication Channel screen shows up where you have to select the HTTP/SOAP option which will provide you the possibility to open the SOA Manager for creating the logical port. 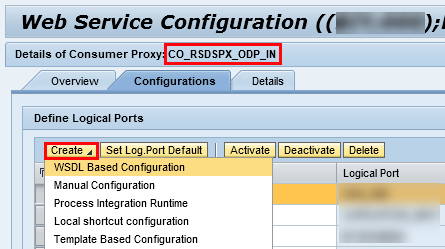 In SOA Manager a consumer proxy of type CO_RSDSPX_ODP_IN is created for your C4C source system. To make the configuration as smooth as possible we will use the WSDL file for configuring the logical port which we have previously downloaded from the communication arrangement. 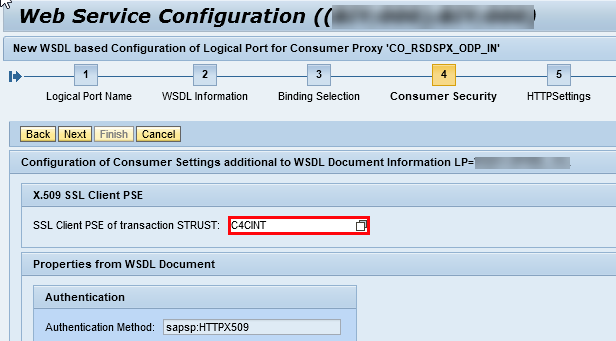 To do so simply select the WSDL Based Configuration option. In the first step make sure that the Logical Port Name matches exactly the Logical System Name of the ODP source system which was created in the Data Warehousing Workbench. In the second step select the WSDL file from your local file system, hit Next twice until you reach the Consumer Security step (4). Depending on the authentication method which you have selected you either have to specify the User / Password or select the right SSL Client PSE. In the HTTP settings step (5) you should increase the maximum wait time for WS consumer to 900s as data extraction usually takes some time (0 would mean infinite). This is also the place where you can specify your corporate proxy settings if required so that the connection can be established. Finally hit Finish to end the configuration wizard. When the Ping was executed successful you can switch back to transaction RSA1 and Check the Web Service configuration from there as well. Before you can access the analytical content from your C4C tenant it is important to set the right context for the ODP source system. 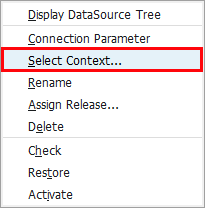 By right clicking on the newly created ODP source system and choosing Select Context… you have to select the BYD_MDAV context. In case you are already running on SAP Business Warehouse 7.40 the process for creating an ODP source system is slightly different. Details can be found in the documentation, for C4C integration the ODP – SAP Business ByDesign ODP folder has to be selected. By finishing the technical setup we can continue with the Data Integration / Data Load part.